Did you know that some states don’t allow direct lender payday loans? Or did you know that some states allow installment loans but ban online payday loans from being issued? There are literally hundreds of nuances like this throughout the country and you need to be aware of how your state views the issuing of short-term online loans. Over the past few years many state legislatures have seen little to no action on the federal level when it comes to regulating the payday advance industry. These state legislatures have decided to regulated the payday loan industry on a state level opposed to waiting for long promised federal regulations. For better or worse some states have decided to completely outlaw short term lending. While the majority of states allow some form of payday loans to be issued. Every state is different when it comes to regulating the nation’s direct payday lenders and direct installment lenders. These regulations are supposed to apply to both retail and online payday lenders, but not all lenders feel these rules apply to them. As always consult with your attorney or state regulator for more information on what’s allowed in your state. Be sure you know your state’s rules and regulations before you move forward with any type of direct payday loan or installment loan. Use this resource to find out your specific state’s rules and regulations regarding online direct payday loans and direct installment loans. All states have different laws so be sure your state allows these types of loans before you apply. Please be aware: the information and summaries posted below should only be used for informational purposes and not as a legal reference or state specific data source. We are unable to provide legal help or guidance regarding payday loans direct lenders to our site visitors. Have you checked your state’s regulations regard direct cash advance lenders and found out that you’re able to apply for a payday loan where you live? If so, be sure to check out our Payday Loans Direct Lenders List. We only compare companies that offer online loans. Whether you have bad credit or not, you can also use our database of lenders to determine which type loan is best for your situation. We do our best to break down the interest rate charged and specific details of each company listed. There have been some updates to the short term lending industry regulations since we last updated this page. Some of these updates consist of proposed changes and some of them consist of changes that have already been enacted. As always you’ll want to check your state’s financial affairs website before you apply with a direct payday loan lender. Many of the proposed changes that people are talking about come from the Consumer Financial Protection Bureau. These new regulations have been approved, but it remains to be seen if they will be implemented. Essentially the CFPB has proposed rules that would regulate the payday loan industry on a federal level. This is a stark change from where things are at now, with states regulation the short term lending industry. The CFPB proposed a number of options that would affect many of the largest direct payday lenders that operate in this space. The biggest change would be that a payday lender must be comfortable in knowing that a consumer had the financial ability to pay back their loan. The CFPB proposes this could be done by enacting a 60 day cooling off period between loans. The CFPB has also proposed that no consumer would be allowed to be in debt to a direct payday lender for more than 90 days total in any 12 month period. At this time these federal rules are only proposed and it remains to be seen when and how they will be enacted. We will update this page as more information comes out. The finance charges can not exceed 17.5% of the total amount advanced. As of last year, the State of Alabama is looking to implement a database of cash advance loans issued to in state residents. The state wants to ensure that lenders don’t issue more loans than the amount allowed per state regulations. Update – A bill was recently enacted that would give consumers at least 6 months to pay off a payday loan. The finance charge can not exceed 15% of the total amount advanced. Essentially this brings the total APR 520%. As of September, rollover of online payday loans are not allowed. However, you can take out as many loans as you want at any specific time. Direct Payday loans have been outright banned in Arizona for years now. This means that any online payday loans offered to consumers in the State of Arizona with rates above 36% are prohibited. Even with these restrictions there are big banks are small lenders that try to “work around” these restrictions. For example, Wells Fargo offers advances to their customers that use direct deposit. Some small lenders offer complicated cash advances or lines of credit that may violate state laws. We also see many car title loan companies operation online and in person at retail locations in large cities like Phoenix and Tucson. Direct Payday loans have been illegal in Arkansas since 2008. There have been no “store front” operations in the state since payday loans were prohibited. The state of Arkansas is in a tough situation. They are literally surrounded by states that allow direct payday lenders while no loans can be issued in state with an interest rate of more than 17%. The largest fee a cash advance lender can charge is 15%. Essentially this brings the APR to 460 if you’re looking at a two week loan. California is a busy state when it comes to new rules and regulations for direct payday lenders. We anticipate more changes in how direct payday lenders are regulated as the legislative calendar gets going again in 2019. There are rumors in the California State Assembly interest rate limits and further limits on the number of loans that can be outstanding at any given time. These regulations would apply to both short term loans and car title loans. There have been some recent changes to the Colorado law regarding the amount of time one has to pay off a direct payday loan. As of a few months ago a consumer now has 6 months to pay off their payday loan. Additionally there is a 30 day waiting period before you can take out another loan and a lender can only charge an interest rate of up to 45%. Payday loans are technically illegal in the state of Connecticut. The state has implemented several ways in order for consumers to get short term cash. For example, the state will allow direct payday lenders to operate if they have a license to deposit checks into a consumer’s account. With that being said, the state makes it difficult to get approved as a lender. As of September, the online loan term in Delaware has been set at 60 days. Under House Bill 289, consumers can take out no more five payday loans over a one year period. Also, the state is in the process of creating a database of cash advance loans issued in order to ensure this is enforced. Payday loans have been illegal in D.C. for quite some time now. No direct payday lenders should be operating within the district. There is a small loan interest cap of 24% that is strictly enforced. D.C. is surrounded by states that offer direct payday loans. A consumer can only have one loan ongoing at any given time. As of this summer the interest rate will be 10% of the amount. The state of Florida strictly discourages rollovers. They do this by limiting direct cash advance loans to less than 31 days. Interestingly they require a loan to be in force for at least 7 days. For the most part, payday loans are illegal in the state of Georgia. This applies to any lender that may charge over 30% for a direct loan. The only way you can legally obtain a payday loan in Georgia is through an out of state bank insured by the FDIC. You can have an outstanding loan in the state of Hawaii for up to 32 days. Anything longer than that is technically illegal. Lenders are allowed to charge a fee up to 15% of the total amount borrowed. The state of Idaho is pretty liberal when it comes to enforcing cash advance companies. They have a high limit of $1,000 and you can renew a direct payday loan up to 3 times. After 3 renewals the online payday loan must be paid in full in order to get another round of financing. As of last year, the Illinois Legislative Body decided to significantly strengthened their payday loan regulations. Lenders can not charge more than 15% of every $100 borrowed. This means the effective APR in the state is up to 400%. A lender can not issue a payday loan if it means you’ll be in debt for more than 45 days. The state of Indiana will allow no more than 15% of every $100 borrowed to be assessed as fees. Interestingly, there’s a sliding scale from 15% down to 13% down to 11% as you borrow more money. Check the state statutes for more information about these loan restrictions. Much like most other Midwest states you can not be assessed a fee of more than 15% of every $100 borrowed in the state of Iowa. In order to be a licensed direct payday lender in Iowa you must have a physical presence in the state. Kansas has a minimum loan term of 7 days with an online loan term of 30 days. No lender legally operating in the state can charge as fees more than 15% of the total amount borrowed. The state of Kentucky will let you have direct lender payday loans outstanding for up to 60 days. Also you can have no more than 2 payday loans outstanding at any given time. Kentucky law allows cash advance lenders to charge up to 15% of the total amount borrowed as fees. You can have a cash advance payday loan for no more than 30 days in the state of Louisiana. Additionally a lender is allowed to charge fees up to 16% of the total amount borrowed. Louisiana state law also allows a lender to assess a $10 documentation fee each time a loan is taken out. There aren’t many definite rules about payday loans direct lenders in Maine. A big factor in Maine is that online payday lenders and installment lenders may not charge any more than 30% interest. This applies to any type of online payday loans that are less than $2,000. Anything over 2k and under 4k will assess an interest rate no greater than 24%. The State of Maryland effective bans direct payday lenders from operating from offering loans in state by capping interest rates that can be charged. The highest interest rate that can be charged in Maryland by a cash advance or installment lender is 33%. All direct payday lenders and cash advance companies in Massachusetts that offer payday loans with rates above 12% must register with the state. The state has capped interest rates at 23% and allowed lenders to charge an administrative fee of no more than $20 each time a loan is issued. Massachusetts does not all most car title lenders to operate in their state. The longest short term lending length in the state is currently capped at 31 days. The state has strict interest rates rules that are assessed on a sliding scale for each payday loans direct lenders that’s issued. For example 15% can be assessed on the first $100, followed by 14% of the second hundred, etc. We recommend that you to the Michigan state regulations website to get more information regarding these interest rates and how they may affect any cash advance loans that are issued. The state of Minnesota will not allow a payday loan to be extended past 30 days. When it comes to interest rates they have specific rules for loans that are issued by direct payday lenders of between $50-$250. Any loans issued for more than $250 can not charge any more than 33% as interest. Mississippi is rather strict when it comes to regulating direct payday lenders. For a while payday lenders ran rampant in the state. Since then new limits have been put in place. For example, the loan tenure is currently anywhere from 28-30 days and there are no rollovers allowed. These new regulations were put in place because Mississippi has more retail payday lenders per capita than almost every other state! 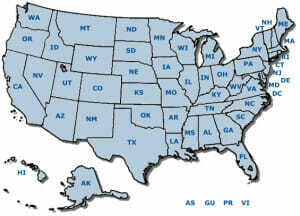 If you live in Missouri you’re going to have much more luck finding cash advance lenders versus most other states. Missouri has many online and physical lenders doing business in the state. The state currently has a max loan term of 31 days and no consumer shall be forced to pay back more than 75% of the starting loan amount in fees in interest. They have different laws that only apply to car title loan companies. Check the Missouri Legislature website for more information on the latest updates. Montana’s online payday loan laws are seen as middle of the road when compared to other states. For example the minimum loan allowed is $50 with the max being $300. Also the state effective caps interest rates on payday loans at 36%. This does not include any fees assessed because of NSF charges. According to the Nebraska official website the state legally recognized and authorized payday loans direct lenders and installment loans in the early 90’s. This only applies to cash advance lenders that have a physical presence in the state. These lenders must have a bond amount of $50,000 and cash on hand of $25,000. No lender can charge more than 15% of the total amount borrowed. Nevada is different than most states when it comes to the amount you can borrow for a payday loan. A Nevada resident can borrow no more than 25% of their total monthly income when applying for a short term loan. This means there is no effective cap on online loans from direct lenders. Interest rates in the state can very so consumers need to be careful if they’re considering a direct payday or installment loan. The personal loan rules in New Hampshire are middle of the road when compared to other states. At this time cash advance lenders can not issue a loan or a combination of loans for more than $500 at any given time. Also state regulations say a direct payday loan must be issued for at least 7 days but can’t last any longer than 30 days. Payday loans are technically not allowed in New Jersey at this time. However, the laws are not as strong as other states that completely forbid direct payday lenders. This means that some lenders are actively lending in the state by using loopholes in the current regulations. The companies still offering online loans in New Jersey are claiming the “interest rates” are fees opposed to actual interest rates which are illegal. There are a few groups actively trying to change these loopholes so we’ll see what occurs next year. New laws were recently enacted in New Mexico that outline what types of fees can be charged for direct payday loans in the state. Currently no direct lender can have a loan maturity date that’s longer than 35 days. Also, New Mexico law specifically states that no lender can issue a payday loan if that loan exceeds more than 25% of that person’s gross monthly income. This applies to many personal loans being issued at any given time as well. New York may be the toughest state to live in when it comes to trying to find cash advance lenders. Payday Loans are currently illegal in the state. New York’s financial regulator’s are tough on anyone who even thinks of doing business in the state. In fact the NY government website even has a phone number for you to call if you’re an NY resident and you were recently offered a payday loan! Storefront direct payday lenders are currently outlawed in North Carolina. However, online lenders and tribal lenders are still doing business in the state. These lenders are still offering loans in North Carolina. They feel they’re exempt from North Carolina’s ban on storefront direct payday lenders. Like other states, I’m sure this issue will come up again in North Carolina next year. North Dakota is lenient when it comes to payday loans direct lenders rules and regulations. Payday advance lending is legal in the state with some restrictions. For example, no payday lender can issue a loan if a consumer has more than $600 of payday loans outstanding to that lender or to any other lender. Also, a cash advance must be issued for at least 15 days but it can not exceed 60 days. This takes into consideration the initial deferral and one renewal. There is legislation pending in North Dakota that may outlaw tribal and short term loans. We will have an update on this towards the end of the year. There are three main rules when it comes to regulations for direct payday lenders in Ohio. A lender that licensed to do business in Ohio can issue a direct payday loan for no longer than 31 days. Interest can not exceed an APR any more than 28%. No payday loan can be issued in the state for more than $500. This restriction also applies to multiple concurrent loans. If a lender wants to operate in Oklahoma there are a few regulations they must follow. For example, a deferred deposit loan(payday loan) can not be issued for any more than 45 days and any less than 12 days. Also, a payday loan lender can not charge a finance rate that exceeds any more than $15 for every $100 borrowed. Compared to other states Oregon allows very high payday loan amounts in their state. The rest of their regulations are more or less in line with other states. No payday loans can be issued whereas more than 36% interest is charged. Also no direct lender can charge an initiation fee that exceeds $10 per every $100 borrowed. Most direct payday lenders do not operate in Pennsylvania. State law says that check cashiers can not make or issue payday loans. This bars retail and online loans from being issued in the state. It seems that installment loans are available but it would be best to consult an attorney or a Pennsylvania state regulator to get more info. The state of Rhode Island allows you to have up to 3 payday loans outstanding at any given time. There is no specific loan term in this state. You can extend cash advance loans for as long as needed as long as your pay the finance charges. The minimum loan term in Rhode Island is 13 days. Like most other states that have generous payday loan laws, South Carolina will not allow a payday loan to have a term that’s longer than 31 days. There appears to be no minimum term for short term financing offered in the state. No licensed direct payday lender can charge a fee that’s in excess of 15% of the total amount borrowed. South Dakota is a bit vague about the general rules or regulations of payday loans offered in their state. For example there is no set amount of time for how a loan can be issued for. Also, the state doesn’t specify whether there’s a limit on how many loans you can have outstanding at any given time. One of the only rules they have currently is that you can only rollover a cash advance four times. The State of Tennessee will let you have up to 3 loans outstanding at any given time and the longest term you can have a loan outstanding is 31 days. You are allowed no rollovers and the finance charge on direct payday loans issued in the state is 15% of the total amount borrowed. There are quite a few different specifications and limits governing payday loans direct lenders in the State of Texas. For example the loan term can be anywhere from 7-31 days. Limits on finance charges range anywhere from 80% to well over 500% depending on the loan details. It would be best to contact an attorney or the Texas state government for more information. 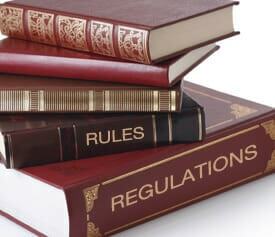 Most large cities like Dallas, Austin and Houston have their own regulations. Please reference the Texas State Legislature site for the most recent information. There is no limit in the State of Utah in regards to set lending amount. Furthermore, a direct payday loan can not last more than 10 weeks and there is no limit on the amount of loans you can have outstanding at any given time. It’s safe to say that Utah is very lenient when it comes to payday loan regulations. Payday Loans are currently prohibited in Vermont. There are some restrictions on what the state terms “small loans” but that’s about it. A “small loan” is restricted to having an interest rate no greater than 18%. According to published reports there may be some further regulations put in place as we move through the upcoming legislative year. Virginia will allow fees and finance charges of up to 36% APR. They also allow a $5 processing for all direct lender payday loans issued in the state. Unlike most states that allow you to have multiple outstanding payday loans direct lenders. You can only have one outstanding at any given time in Virginia. There are no rollovers allowed on any payday advances that have been offered in state. Washington views the loan cap rule differently than most other states. While they have a normal $700 loan amount the state also says the loan amount can not exceed 30% of the gross income of the borrower. They’ll go by whichever is lower. They allow no rollovers and have a max loan tenure of 45 days. Finance charges are capped at 15% of the first $500 borrowed. West Virginia does not allow direct payday lenders or installment loans to be issued in their state. There are some types of loans allowed in the state where rates are capped at 31% but it’s unclear what type of loans that applies to. If you live in West Virginia it would be best to consult an attorney or state regulator for more information. Wisconsin is a good state to be in if you need a short term loan. They currently allow payday loan direct lender loans of up to $1500 and a loan tenure of no more than 90 days. There’s no limit on the number of loans you can have outstanding but you are only allowed one rollover on any given direct lender payday loans. There is currently no limit on the amount you can borrow in the state of Wyoming from payday loans direct lenders. They allow a max loan amount of up to one month with interest rates up to 20%. There is no limit on the number of loans outstanding and on rollovers.